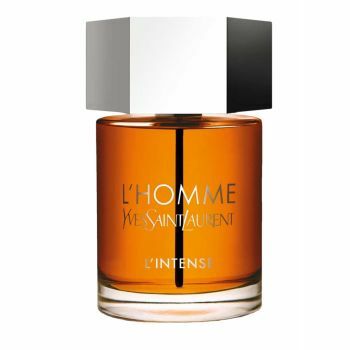 L’Homme L’Intense Eau de Parfum represents the intense edges of charisma, sensuality and magnetism, an unadulterated sensuality and brilliant, mysterious depth. L’Homme Yves Saint Laurent expresses a more powerful and sophisticated olfactive interpretation: L’Homme L’Intense. A fragrance infused with precious ingredients. The powerful attraction of a man with a unique style: charismatic, seductive, bold and full of contrasts. The iconic hexagonal cap remains the signature of L'Homme L'Intense. The amber-coloured scent elegantly enhances the silver "L'Homme" logo emblazoned on the transparent bottle.